A return to a concerto that brought with it a solo debut. 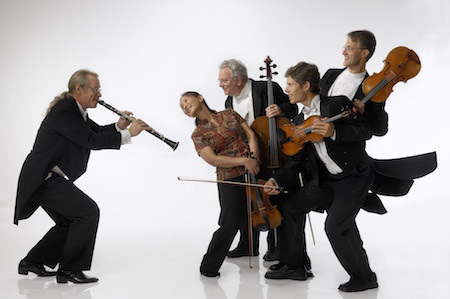 The celebration of a long chamber music partnership and friendship. And one final concerto in a 22-year orchestral tenure. 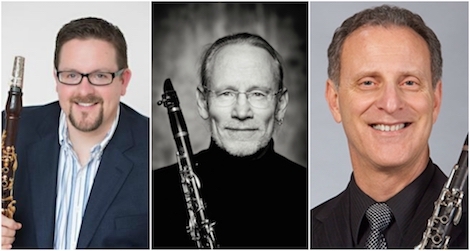 Those landmarks in the careers of three clarinetists — Randy Klein, Richard Hawkins, and Allan Ware — can be heard across two days, March 3 and 5, in Canton, Oberlin, and Rocky River. On the docket are concertos by John Corigliano and Aaron Copland, and clarinet quintets by Carl Maria von Weber and Johannes Brahms. The clarinet show begins on Saturday, March 3 at 7:30 pm in Umstattd Hall. Randy Klein will join his Canton Symphony colleagues and music director Gerhardt Zimmermann for the Copland Concerto, in between performances of Stephen Montague’s Snakebite and Mozart’s Symphony No. 40. 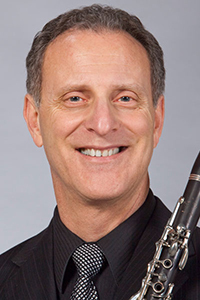 Klein has given many concerto performances in his 22 years as principal clarinet in Canton, but Saturday will be his first time with the Copland. That course was set after a conversation last year with Zimmermann. 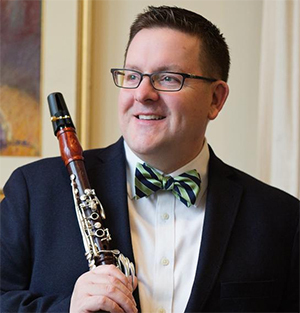 At 8:00 pm that same night — Saturday, March 3 — Oberlin Conservatory professor of clarinet Richard Hawkins brings the Corigliano Concerto to Finney Chapel. In addition to that work, Raphael Jiménez will lead the Oberlin Orchestra in Stephen Hartke’s Muse of the Missouri and Richard Strauss’ Till Eulenspiegels lustige Streiche. The free performance will also be streamed live. The Corigliano holds a special place in Hawkins’ career. After winning the concerto competition at the University of Michigan with the piece, he took it to another competition, this one held by the National Symphony. Winning that, he made his professional solo debut with the orchestra in four subscription concerts under Mstislav Rostropovich. But the Corigliano Concerto was absent from those programs. Hawkins played the Copland instead. Allan Ware will bring the action to a close in a free concert on Monday, March 5 at 7:30 pm at West Shore Unitarian Universalist Church. As part of the Rocky River Chamber Music Society series, Ware will perform the clarinet quintets of Carl Maria von Weber and Johannes Brahms with the Ciompi String Quartet (violinists Eric Pritchard and Hsiao-mei Ku, violist Jonathan Bagg, and cellist Fred Raimi). The Ciompi will round out the evening with Mozart’s Quartet in D, K. 575. A soloist and chamber musician — and winner of the Grand Prix at the 4th International Chamber Music Competition in Paris — Ware is based in Osnabrück, Germany. His North Carolina origins tie him to the Ciompi, who were founded at Duke University in 1965 and are currently in residence there. Published on ClevelandClassical.com February 27, 2018.